The Cincinnati Bengals have one of the more unique helmets in sports. Not only do they not include any logo on their helmets, they also have gone with the very creative tiger stripes since the 1980 season. This is a far cry the helmets they wore from their inaugural season to 1979. Which just included a word mark on a plain orange helmet. Paul Brown, who previously coached the Browns for 13 seasons decided to return to football with a franchise of his own in southern Ohio. The uniforms were reminiscent of his former team’s with the exception of the color scheme, which included black for the Bengals and of course the Bengals word marks on the helmet. 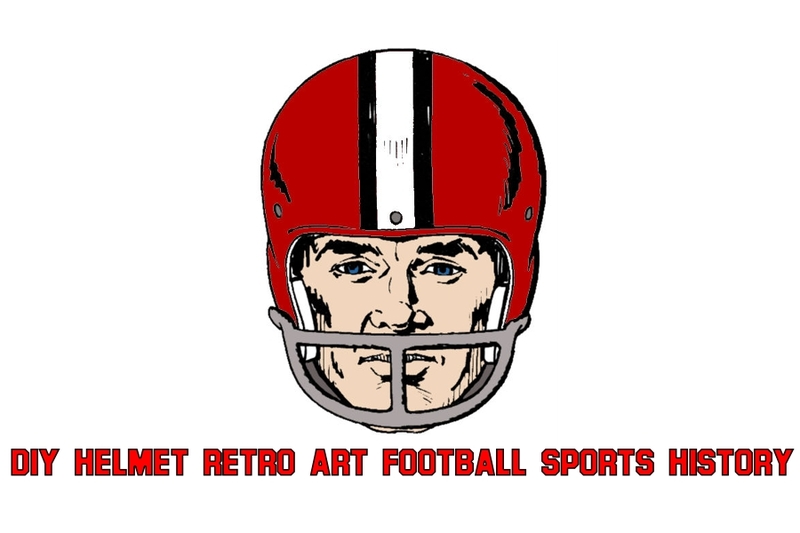 This all changed in 1981 when the Bengals switched to their tiger stripe helmets, which have remained to this day even with multiple tweaks and changes to the Bengals primary uniforms. It is said that early on the stripes were all hand painted, but it appears that currently like all NFL team’s the helmet stripes are colored decals made out of thick vinyl. The Bengals were one of the teams I couldn’t wait to make because of the great decal work that would be involved. Decal placement can be challenging at times, especially when you are first starting out. It takes a lot of practice. I will have some articles getting into more detail on each part of the custom helmet process soon. For the Bengals helmet, the other challenge was finding the right color for the helmet. Because, I use acrylic canned (rattler cans) spray paint, finding an exact color match can be tricky. Sometimes you just have to say, close enough. In the future I might get into more advanced painting techniques like airbrushing, that allows for more color mixing, but spray cans can do a brilliant job on their own with some practice. After looking at many shades of orange paint, I found that lots of the choices were too dull or too dark or too red. I finally found what is a very close match at Pep Boys (it’s available in lots of other places too). 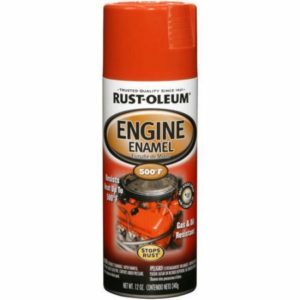 It turns out the closest match i could find was actually engine enamel. The paint is designed for high heat up to 500 degrees. Obviously a display helmet in my basement won’t have to endure those type of temperatures, but the paint worked just like or better than any normal acrylic paint. After applying the orange paint I applied clear coat, sanded and polished. The decals were a bit tricky, but they look pretty good. Don’t forget no two tiger’s stripes are the same, so if it looks slightly different than the on-field helmets, that’s okay! Below is the gallery of my custom Refurbished Cincinnati Bengals helmet!